Toot the conch shell: a new season of Survivor is here! Jeff Probst corrals three tribes of Heroes, Healers, and Hustlers on a boat and unleashes the traditional insanity of the marooning. In the process of tossing bananas and pineapple overboard, Ryan from the Hustlers Tribe finds a secret advantage (but more on that later). When Probst rings the supper bell, it's time to GTFO the big boat and race to shore in their paddleboats to win fire. The Healers succeed in lighting their torch first which wins them a full fire kit (and a massive bonfire at their beach). The Heroes place second and get flint. The Hustlers are left straggling out at sea trying to figure out the oars. Great start! All the tribes head to camp to get to know each other, but idols dominate the first few days of the game. Ryan's secret advantage from the marooning is an Immunity Super Idol that can be played after the votes are read but is valid only for the first Tribal Council. 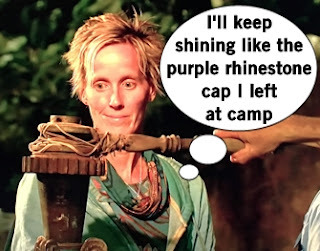 But here's the kicker: if the Hustlers don't go to Tribal Council, Ryan must give it to a member of the losing tribe. Looking to make an ally tighter than the red turtleneck he's wearing, Ryan shares this information with Devon so they can choose the right recipient if needed. Mike the urologist's kids told him to hunt for an idol so he follows their orders, but Joe confronts Mike to say everyone knows what he's up to when we wanders alone. 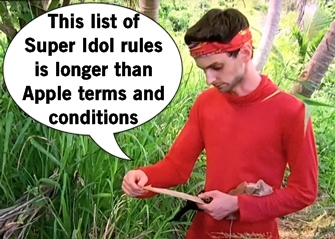 But no one loses their mind over the idols quite like Alan. Already wary of the bond between Ashley and JP, Alan confronts JP about having an idol in his pants so JP strips downs and proves he's got nothing but the Idol he was born with - wiiiiiink. Alan hopes this confrontation puts a target on the "power couple," but it might have made himself a target in the process. 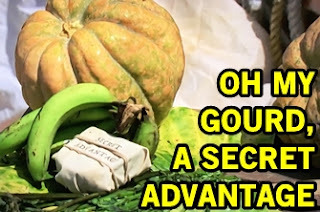 The tribes gather for their first Immunity Challenge which includes rolling down a cart like a Survivor rollercoaster and a choose-your-puzzle adventure. An early lead allows The Heroes to pick their puzzle first, choosing one with a lot of walls and less opportunity to fall of the sides, but they can't pull out the win and are heading to Tribal Council. An exhausted Chrissy gave her heart, soul, and lunch, leading her to puke beside the puzzle. A good puke is the equivalent of a Bachelor First Impression Rose, which makes Chrissy a standout and therefore the recipient of the Super Immunity Idol from Ryan. It's just what Chrissy needed as the "mom squad" of her and Katrina are isolated from the fractured foursome of Ashley, JP, Ben, and Alan. Ben and Alan end up in the middle of the two sides, but if Chrissy plays the Super Idol choosing a side might not matter at all. Tribal Council time! Chrissy and Katrina admit feeling left out, expecting the physical threats to get together (correct). Probst's face lights up with delight hearing about the idol strip search. The tribe still thinks Ashley and JP are a power couple, which Ashley adamantly denies and JP boringly answers. Alan's eyes are open to everything happening, quite literally because I'm not sure he blinks at all during Tribal Council. Ben speaks the of voice of reason and tells everyone to vote to stay strong and they'll discuss their problems later. The Heroes cast their votes and even after the votes are read, Chrissy holds onto her Super Idol. Katrina and her colorful workout wear because the first voted out of Survivor: Heroes vs. Healers vs. Hustlers.